Steven J. Rosen, director of the Middle East Forum's Washington Project and former foreign-policy director at AIPAC, addressed the Middle East Forum on December 17, 2012, via conference call. Steven Rosen and MEF President Daniel Pipes recently met with Israeli officials to discuss strategy and policy in the wake of Israel's Operation Pillar of Defense in Gaza and the Palestinian Authority's (PA's) upgrade to a non-member observer state by the UN General Assembly. Mr. Rosen shared some insights and conclusions of these discussions. If there is no progress even after the election I will take the phone and call [Prime Minister Benjamin] Netanyahu," Abbas said. "I'll tell him, 'my dear friend, Mr. Netanyahu, I am inviting you to the Muqata [the PA presidential headquarters in Ramallah]. Sit in the chair here instead of me, take the keys, and you will be responsible for the Palestinian Authority. An Arab human rights group based in London accused the Palestinian Authority of inhumane practices and human rights violations against Palestinian civilians in a scathing report published on Friday. The Arab Organization for Human Rights has put the primary blame for the human rights abuses on PA President Mahmoud Abbas and called on the UN, Arab League and Organization of Islamic Cooperation to take urgent action. Peter Beinart has been known to throw around the term McCarthyism. When he wrote about it in 2010, Beinart was using the term in decrying the scapegoating of Muslims in the US. He compares it to the Palmer raids under Democratic President Woodrow Wilson where thousands of communists, anarchists, immigrants, and labor radicals were rounded up and deported -- as well as with the red scare exploited by Republican Joe McCarthy. For Obama, Are All Islamists Friends of the US? Barry Rubin shares his insights into A Paradox of U.S. Middle East Policy: The Friend Who Acts like an Enemy is an Enemy. Examples of countries and governments presenting this problem include Pakistan, Egypt, Lebanon, Qatar, Saudi Arabia, the Palestinian Authority, Turkey, Venezuela and Bolivia, among others. The question is what to do with those great friends and allies of the US whose concerns for the rights of their citizens or the interests of the US (or both) become questionable. Obviously, in the case of Egypt one can argue that there red lines that have already been crossed -- if not outright ignored. The fact that as soon as Egypt was entrusted with oversight of the Israel-Hamas ceasefire and Hillary praised Egypt as a model of stability in the Middle East, Morsi turned around and conceded dictatorial powers, followed by massive protests -- this is not reassuring. Of course, this did not stop Obama from going ahead with sending 20 F-16s to Egypt. Which may be the problem. The important question is: How far does a country have to go, how futile and even counterproductive do the pay-offs have to be, before it is no longer treated as a friend. And how much has the calculus changed now that Obama has won the election and is guaranteed his final term? War is no longer a discrete action of armed conflict but a continuum of engagement in order to limit the dissonance between a nation’s will and that of other state and non-state actors. In war, nation-states and non-state actors utilize all means available; diplomacy, economic influence (including multi-national corporations and non-governmental organizations), information operations, social influence, and educational influence as well as military force in order to encourage adherence to their will. As such wars do not end; rather imposing one’s will and maintaining harmony between national objectives and those of the international community to the level of acceptable adherence precludes the use of armed conflict. War is the coherent execution of all means to bring about sufficient adherence to a nation’s will in the international (global) arena; resulting in armed conflict only when all other means fail. A message to the church of Egypt, from an Egyptian Muslim: I tell the church — by Allah, and again, by Allah — if you conspire and unite with the remnants [opposition] to bring Morsi down, that will be another matter…. 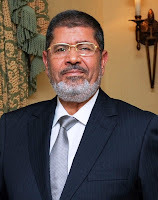 our red line is the legitimacy of Dr. Muhammad Morsi. Whoever splashes water on it, we will splash blood on him." Bible is a terrific source for history and political analysis, often in the passages least quoted today. Videos: Latma Celebrates the 10th Season of Israel's Flagship Satirical Show "Wonderful Country"
Here is this week's edition of Latma. One of the skits features a tribute to Eretz Nehederet, celebrating Channel 2's flagship satire show. The Simon Wiesenthal Center’s 2012 Top Ten Anti-Semitic/Anti-Israel Slurs exposes the growing menace of Jew hatred from people and movements who wield real power. With Egypt’s Muslim Brotherhood as #1, and the Iranian regime a close second, most of the other empowered anti-Semites are from Europe, where, as memory of the Nazi Holocaust fades, age-old anti-Semitism has returned with a vengeance and where a new generation of politicians are gaining political power by repackaging classic anti-Semitic stereotypes. For all of the talk about the centrality of the issue of the Palestinian Arabs for prospects of peace and stability in the Middle East, it is surprising how apathetic and at times even antagonistic other Arabs in the Middle East feel about the Palestinian Arabs. Israeli politics, that is. A balagan (confusion). But it's time for me to take a look at what's happening. Especially as part of the Israeli electoral circus has made press in the US. +Naftali Bennett is the new Chair of the Habayit Hayehudi (The Jewish Home) party -- which has been strengthened via a list merger with National Union (Tekuma faction). He has brought new energy to the party, which traditionally has a religious, nationalist base; with broader outreach, he has been showing well in polls. 1) "You can't handle the truth"
The only thing standing between Israel and national suicide any more is America and its willingness to tell Israel the truth. Today we'll start with the good news. Ariel University has been an institution of higher learning, situated in Ariel -- a major city in Samaria, 25 miles east of Tel Aviv -- since 2005. At that time it was Ariel College and had the highest student enrollment of any public college in Israel. But the school's intention was to seek full university status -- which would provide it with the ability to grant doctoral degrees, as well as increase its funding for research and its prestige. In 2010, it was granted the title Ariel University Center of Samaria, but was not yet accorded official university status. In July of this year, the Council for Higher Education in Judea and Samaria granted it this status. In September, the Cabinet approved it. But it wasn't yet a done deal. Odd that Hezbollah seems to be suffering from the unexplained explosions of weapon depots. It reminds one of the mysterious explosions that rocked Iran last year. Between this year and last, there have been a number of unexplained explosions hitting Hezbollah arms deposts -- the kind that are not supposed to exist under UN resolution 1701. Most people, asked if there was any specific Jewish connection to the recent horrific murder of 20 first-graders and six staff members at Sandy Hook Elementary School in Newtown, Connecticut, would probably respond “Noah Pozner,” one of the six-year-old casualties. There’s another Jewish connection, though, or at least an imagined one, to the massacre. Even while the slaughtered innocents were still being prepared for burial, neo-Nazi websites began to assert, on the sole basis of their operators’ fevered imaginations and an ugly sort of wishful thinking, that Adam Lanza, the mass murderer, was a Jew. Is Turkey's Erdogan Aiming To Be A Dictator -- Or A Caliph? The menu for meals on my Turkish Airlines flight earlier this month assured passengers that food selections "do not contain pork." 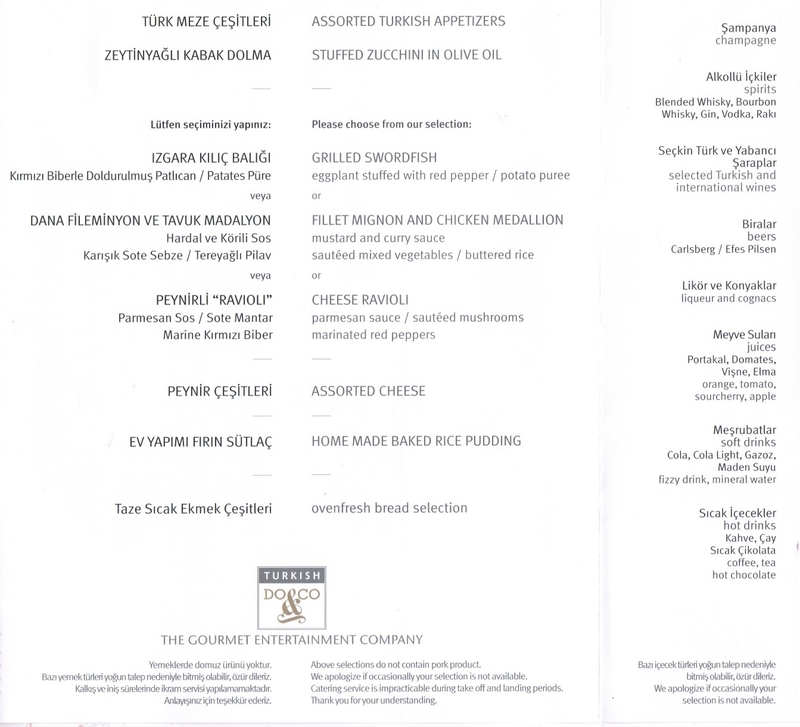 The menu also offered a serious selection of alcoholic drinks, including champagne, whiskey, gin, vodka, rakı, wine, beer, liqueur, and cognac. This oddity of simultaneously adhering to and ignoring Islamic law, the Shari'a, symbolizes the uniquely complex public role of Islam in today's Turkey, as well as the challenge of understanding the Justice and Development Party (known by its Turkish abbreviation, AKP) which has dominated the country's national government since 2002. 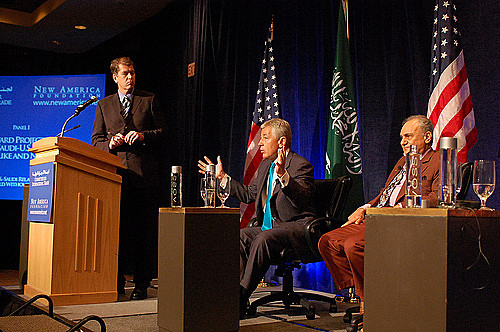 The Middle East Media Sampler 12/26/2012: Anti-Israel Activists Support Hagel Because He's Good For Israel? 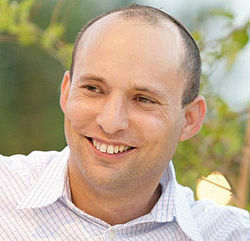 In Israel, Jewish Home Party leader +Naftali Bennett said last week that as a soldier he would rather go to jail for insubordination than to follow orders to evict West Bank settlers. 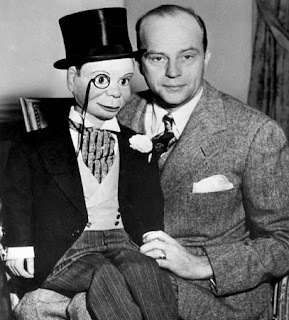 Bennett got into hot water -- and his party promptly gained 2 seats. Since Bennett's Jewish Home Party would be an ally to Netanyahu's Likud-Beitenu party, it would be helpful to know just where he stands on the issue of Judea and Shomron. Here are 2 videos: one in Hebrew with English subtitles and the other an explanation given by Bennett himself -- in English. Disproportionate Force: When Attacked With A Knife, Can You Use Your Gun? Israeli military actions are consistently judged and found wanting by metrics that are applied to no other army or conflict. Application of these standards is designed to render Israel incapable of defending its citizens. Prominent among these new metrics is the comparison of Israeli casualties to those of the civilian population from whose midst the enemy fights. As soon as the casualties on the other side exceed those suffered by Israel – usually within hours of an unprovoked attack on Israel and without any cessation of fire from the other side -- Israel's response is labeled disproportionate. The Washington Post's ombudsman Patrick B. Pexson, for instance, recently dismissed the overwhelming majority of rockets fired from Gaza as "like bee stings on the Israeli bears behind." By which, he presumably meant that they only kill a few Jews. But there is no acceptable level of civilian casualties, and any Israeli government that treated rocket attacks on its cities as tolerable would deserve to be tossed out of office. The protection of its citizens from external attack is the first duty of any government. Well, you can look at any opinion poll in the Palestinian territories and 70 percent of the people will say they’re perfectly ready to live side by side with Israel because they just want to live in peace. Too bad that no one -- Rice included -- was ever able to produce that poll. On the other hand, an actual poll that came out this month is useful for illustrating a very different point. As I was leaving Ohr Somayach after my most recent visit about a month ago, one of the veteran rebbeim mentioned to me that Rabbi Mendel Weinbach, zt"l, had been in the office that morning. I quickly ran back to the office hoping to catch a few minutes with Rav Mendel. The last time I had seen him was a few months earlier, when he gave the opening address at the English-language Siyum HaShas. He was barely recognizable at the time, as a consequence of the treatments he was undergoing. But the voice was every bit as powerful and impassioned as I remembered from my days in Ohr Somayach 33 years ago. Though I knew that Rav Mendel had been battling the dreaded disease for some years, it was evident that night, despite the power of his speech, that he was very sick. So it was with some urgency that I ran back to Ohr Somayach. But the secretary told me that Rav Mendel had left for the day. I made a note to call the next day, but never did. Jerusalem - In a decision concerning a petition brought by Jerusalem-based research institute NGOMonitor, the European Union Court of Justice confirmed that the EU fails to act transparently in its funding of non-government organization (NGOs). The Court's decision, issued November 27, 2012, permitted these secret procedures, in violation of transparency and democracy norms, said NGOMonitor. "For over a decade, the EU has acted with impunity in funding political advocacy NGOs with near total secrecy," said Prof. Gerald Steinberg, president of NGO Monitor. "Throughout, EU officials have attempted to justify the intense secrecy by using exaggerated claims of 'public security' and 'commercial interest.' The only reasonable conclusion is that the EU has something to hide." As I turn from other work to do a posting, what becomes clear is that the world situation sure isn't getting better. We can start with Syria, where the proper word for describing the situation is perhaps "horrific." How does one refer to the leader of a government that orders an airstrike on a bakery -- an airstrike that hit a crowd of people lined up to receive bread? An "activist," Samer al-Hamawi, cited by the JPost, reported that, "When I got there, I could see piles of bodies all over the ground. There were women and children." This was yesterday, in Halfaya, a suburb of Hama in the north of Syria. Hama is a rebel stronghold. Some 50-90 people were killed and dozens wounded, some critically. Has Obama Become A Kinder, Gentler Friend Of Israel? Obama's second term has not even officially started, but already there are claims that a new, more positive, relationship between Obama and Israel has begun. The U.S. government issued routine statements of support for Israel's battle in Gaza while apparently urging it not go on too long and not include a ground attack. It didn’t go out of its way much on the issue, however, for example not rethinking the president’s love affair with the Turkish Islamist regime despite the fact that its prime minister froths at the mouth with hatred of Israel. The U.S. government opposed as it always has the UN’s upgrading the PA's status. The American government realizes that such behavior is a torpedoing of the Oslo accords and peace process of which is was a guarantor. "If Algeria introduced a resolution declaring that the earth was flat and that Israel had flattened it, it would pass by a vote of 164 to 13 with 26 abstentions." I went over to the sargent, said, "Sargeant, you got a lot a damn gall to ask me if I've rehabilitated myself, I mean, I mean, I mean that just, I'm sittin' here on the bench, I mean I'm sittin here on the Group W bench 'cause you want to know if I'm moral enough join the army, burn women,kids, houses and villages after bein' a litterbug." Speaking at the opening session of the Fatah Advisory Council in Ramallah, Xinhua news agency reported, Abbas said that he is considering asking Israel to resume full control of the West Bank, saying it is impossible to act as a leader without being granted power. Of course, threatening to resign is one of the few things you can consistently expect from Abbas, especially considering the years of practice he has had -- threatening to resign a good 20 times over the past 9 1/2 years. Video: Latma Sings "Jihad Bells"
If the situation for Christians under Muslim rule has changed at all, it has only changed for the worse. The UN wants Israel To Put More Syrians Under Assad's Control To Slaughter "Forthwith"
Elliott Abrams notes that The UN Closes Out 2012: Nine Resolutions Against Israel, Silence About Syrian Attacks on Palestinians. That's right, what used to be the world address for humanitarian concerns has decided that after 22 months of the Syrian massacre by the Assad regime, with cluster bombs now being used and the fear of chemical weapons being used next -- now would be a swell time for Israel to "forthwith" hand over more Syrians over for Assad to kill. I strongly urge that in breaking down the walls of Marxist fantasies you do not fall into the prison of the West and the Great Satan. I openly announce that the Islamic Republic of Iran, as the greatest and most powerful base of the Islamic world, can easily help fill up the ideological vacuum of your system. The enemy of my enemy is not my friend. It is entirely possible for two parties to hate each other, but to agree they hate you more. And so it is in this case. Hamas and Fatah are not opposite ends of some mythical Palestinian political spectrum – they are merely different approaches to the same end. The West has persisted in the fantasy that Fatah and Hamas were opposite forces in the search for peace between Israel and the Palestinian Arabs. To sustain such a myth of course requires that one believes that Abbas really is a moderate and that he seriously can be convinced to sit down and negotiate with Israel. How Will The Media Handle An Israeli Government That Actually Is Right Wing? It’s rather ironic: the international community is bitterly ramping up its criticism of Benjamin Netanyahu the builder of settlements — Security Council condemnations, European castigations, American criticisms, et al. But Benjamin Netanyahu the non-builder of settlements is hemorrhaging support to the party on his right. This will give residents and supporters of the settlement movement an even louder voice in the next Knesset than their already healthy contingent in the current one. This will be interpreted by some on the left as a sign of Israel’s depravity or indifference to peace. But the reason for it is clear. While the conflict in Egypt has largely been portrayed as a conflict between secular Egyptians, or "moderate Muslims," who oppose full-blown Sharia, and the Islamists, led by the Muslim Brotherhood and the Salafis, who want Taliban-style Sharia to govern the nation, largely missed have been the Christian Copts in the middle, who find themselves in an especially awkward position. Moderate Muslims are still capable of offering the requisite lip service to Islam—saying "prayers and peace upon Muhammad" and all the other Muslim mantras—even as they reject the full application of Sharia. This makes it more difficult for their radical brethren to portray them as infidel enemies. Moderate Muslims can resist Sharia, but in subtle ways, arguing over Islamic exegesis, calling for ijtihad [modern interpretations, questioning], and so forth. But when Egypt's Christian Copts resist Sharia—as religious minorities, or dhimmis, they stand to suffer the most under it—pro-Sharia Muslims retaliate with extreme vengeance, portraying them as infidels who reject the law of Allah. So far this week, Mr. Netanyahu’s hard-line government, defying the Western powers, has approved construction of more than 6,000 new housing units. The approvals follow an announcement late last month that Israel would continue planning for new development in the E1 area — a project northeast of Jerusalem that would split the West Bank and prevent the creation of a viable contiguous Palestinian state. Ban Ki-moon, the secretary general of the United Nations, has called this project an “almost fatal blow” to a two-state solution. Anyone following the New York Times and its critics knows that the Times reported that building in E1 would split the West Bank in two. When CAMERA pointed this out to them, it occasioned, not one, but three corrections. Instead of making the false claim, the editorial is now forced to use the term "viable contiguous." Jerusalem - Non-governmental organizations (NGOs) are again exploiting Christmas to advance immoral anti-Israel campaigns, and in some cases crude antisemitism, says Jerusalem based research institute NGO Monitor. A new report documents the ways in which Christian Aid (UK), Kairos Palestine, Sabeel, War on Want (UK), Amos Trust, and Adalah-NY often use offensive and inflammatory rhetoric in Christmas carols, holiday messages and cards, nativity scenes, and other products. Will International Community Accept Their Share Of Blame For Suffering Of Palestinian Arabs? It is a familiar sight -- the accusations thrown at Israel for being responsible both for the actions of the Gazan Arab's actions as well as their consequences. Now Evelyn Gordon takes a look at How the World Enabled 25 Years of Palestinian Decline. The Middle East Media Sampler 12/20/2012 Why A Third Intifadah? 1987 ... 2000 ... 2013? In March, Barry Rubin asked Will the Palestinians Launch a Third "Intifadah" War on Israel? Professor Rubin surveyed the conditions under which a third intifada might occur. 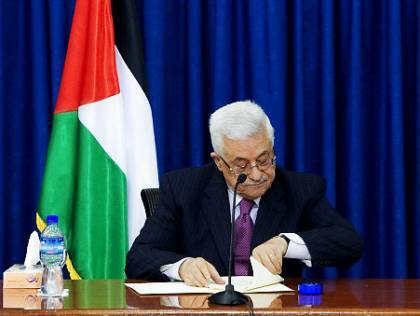 The fact is that Mahmoud Abbas is in the closing phase of his leadership and there is no clear successor. Complicating the situation is the specter of a generational transition. People can put forward in conversation their preferred person to lead the PA, PLO, and Fatah or speculate as to who it might be. But the truth is that nobody has the least idea who will be the new leader or even who are the most likely candidates. A leader or faction or elements of the “young guard” might well decide that an intifadah would suit their purposes. Yesterday 14 of the 15 members of the Security Council moved to pass a resolution condemning Israel for "settlement" construction. The US vetoed it. Whatever Obama's reason -- and it likely has to do with a fear that such a resolution would stiffen the backs of the Israeli government and make "negotiations for peace" even more difficult, he did it. Individual members of the Council then moved to issue condemnations. France, Britain, Germany and Portugal issued a joint statement saying that building in E1 would jeopardize "the possibility of a continuous, sovereign, independent and viable Palestinian state, and of Jerusalem as a future capital of both Israel and Jerusalem. "...the viability of a two-state solution is threatened by systematic expansion of settlements...all settlement activity including in east Jerusalem, must cease immediately." They don't get it, and they are not going to get it, because they don't want to. Jerusalem - After losing credibility over a number of Middle East-related issues, Human Rights Watch (HRW) is once again leveling false charges against Israel. The claim that there was an "unlawful" attack on "journalists" and buildings containing the offices of news agencies during the recent Gaza fighting is false both legally and factually, and the timing of this release appears to be a cynical attempt to divert attention from many scandals currently plaguing the organization," stated Jerusalem-based research institute NGO Monitor. Chuck Hagel is President Obama's likely pick as Secretary of Defense. But he's spoken out against sanctions on Iran, against a military option to stop the Iranian nuclear program, and he opposed designating Hezbollah and the Iranian Revolutionary Guard Corps as terrorist groups. Is he a responsible choice? Former Republican Nebraska Sen. Chuck Hagel may no longer be President Obama's favored pick to run the Defense Department, sources told the Free Beacon. 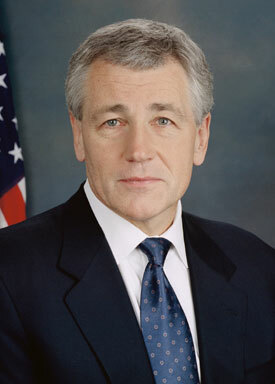 Hagel immediately drew a frosty reception from observers who criticized him for advocating in favor of direct unconditional talks with Iran and for backing sizable cuts to the defense budget. Those who have worked with Hagel and have an intimate knowledge of his managerial style also expressed concerns about his possible appointment. The article ends with the suggestion that Hagel is not even a serious choice, but rather a trial balloon by Obama to see judge how Michele Flournoy, a former undersecretary of defense for policy, would be received. Technorati Tag: Chuck Hagel and Michele Flournoy. What Will Happen In Syria The Day After Assad Is Gone? Now that there is a growing awareness that the Assad regime in Syria may very well be on its last legs, Lt. Col. (ret.) Jonathan D. Halevi writes for JCPA about The "Day After" Scenario in Syria. The prognosis does not not appear promising. The moment of truth is approaching in Syria. Bashar Assad's regime is fighting a rearguard battle and has already lost control over large parts of the country. Syria's vice president, Farouq al-Shara, admitted in an interview in the Lebanese newspaper al-Akhbar on December 17 that he did not believe that the Syrian army could win the present confrontation. It is unlikely that Assad's regime believes the use of chemical weapons can restore the previous situation in Syria. It appears probable that the regime will instead seek to transfer most of the surviving loyal forces and strategic (including chemical) weaponry to the Alawite enclave in the west of the country to serve as a deterrent to acts of revenge and a political card for ensuring the Alawite community's status in a future Syrian order. The November 2012 conflict in Gaza: What happened and why, Israel's & Hamas' strategies, and the role of the media. Compiled by Nevet Basker, Broader View. It puts together what happened, not only in terms of the military strategies, but also the added dimension of the role of the media as well. According to PressTV, Iran’s state-run English language media outlet, Israeli death squads were responsible for last week’s shooting at Sandy Hook Elementary that took the lives of 20 children and a number of adults. You’re not misreading that. Egypt's new government is assuming the responsibility and leadership that has long made this country a cornerstone for regional stability and peace. Hillary Clinton, like the Obama administration as a whole, has been whitewashing the the Muslim Brotherhood-backed leadership of Mohammed Morsi from the get go. In fact, while the White House has expressed concern about the violence that has broken out in Egypt, it has not expressed a strong concern about the threat to Democracy in Egypt, let alone done anything about it. One year after the completion of the pullout of American troops from Iraq, what are the main issues affecting the country today? Russian Arms Scandal and Corruption: On October 9, Iraq announced the signing of a $4.2 billion arms contract with Russia. Commentators took this deal to be a sign of waning U.S. influence in Iraq since the deal — had it gone through — would have drastically reduced Iraqi dependence on American arms supplies. Thus, when it was announced on November 10 that the deal was scrapped over concerns of corruption, these same commentators (e.g. Michael Weiss) surmised that the cancellation must have somehow been due to U.S. pressure. This sentiment was fueled by the BBC's quoting of a Russian analyst — Igor Korotchenko — at the Moscow-based Center for Analysis of World Arms Trade. For he speculated: "As far as talk about corruption is concerned, I think it's a smokescreen. I believe this is just a pretext and the true reason is Washington applying pressure on Baghdad." Moreover, the assumption made by commentators of U.S. influence at work here reflects the excessive tendency to view affairs in Iraq through the eyes of a "Great Game" between foreign powers (cf. the question of Iranian influence in Iraq). What Is The One Argument In Egypt That Guarantees The Islamists Success? Kerry gets a pass for his own lack of judgment regarding a host of issues, from his enduring support for Syrian butcher Bashar Assad and his belief that climate change is a “national security” issue, to his unthinkable testimony before the U.S. Congress maligning America and Vietnam vets while running interference for the Viet Cong? Kerry, it seems, cannot kick the habit of sidling up to the great killing machines of our time. 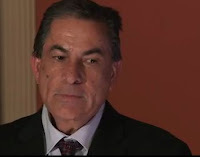 HonestReporting has named Gideon Levy of Haaretz as the 2012 Dishonest Reporter of the Year for misrepresenting an Israeli opinion poll to conclude that the Israeli public supports apartheid. See all of the Dishonest Reporting Awards. Levy's victory marks the first time the winner has been a member of the Israeli press rather than part of the international media covering Israel. However, Levy's dishonest reporting reached well beyond Israel's borders, making headlines across the world. Arlene Kushner on Latest Threats Against Israel From Syria, Jordan and "Palestinians"
Can't cover it all; that would be an impossibility. But it's essential to report sufficiently so that my readers understand what's going on here, and have the facts to speak on Israel's behalf. The Shin Bet, working with the police, have uncovered a Hamas cell in northern Jerusalem -- in the Arab neighborhoods of Shuafat and Ras Hamis. They have been indicted in a Jerusalem court, charged with arson and aggravated assault that includes attacks with firebombs. “...with every passing day, the military and political solutions get further away. As an aside, threatening the very existence of a country is a distinctive feature of modern Middle East politics rarely found elsewhere in the world: other examples include Kuwait (which actually disappeared into the Iraqi maw for half a year in 1990-91), Bahrain (under intermittent threat from Iranian imperialists), Jordan (seen as an illegitimate British imperial creation), Lebanon (eyed covetously by Syrians), and Cyprus (invaded by Turkish forces in 1974 and newly under threat again).Those concerned with the security and welfare of the Jewish state keep asking questions like "Is Israel Doomed?" and Will Israel Survive? (also in French, Israël peut-il survivre?). One even titled a book The Late Great State of Israel. This gloom results from the unique barrage of threats facing the Jewish state. These include weapons of mass destruction, conventional armies, and terrorism; economic boycott, demographic challenge, and political delegitimization. No country at present – and perhaps in all history – faces such an array of dangers, from mass violence (Iranian nuclear bombs) to intellectual sabotage (professorial of English). Back to Israel: I am optimistic it will survive. Several reasons lead me to this conclusion. Yes, democracy matters. But the ruling Muslim Brotherhood needs to understand that democracy is so much more than just winning an election. It is nurturing a culture of inclusion, and of peaceful dialogue, where respect for leaders is earned by surprising opponents with compromises rather than dictates. The Noble Prize-winning Indian economist Amartya Sen has long argued that it was India’s civilizational history of dialogue and argumentation that disposed it well to the formal institutions of democracy. More than anything, Egypt now needs to develop that kind of culture of dialogue, of peaceful and respectful arguing — it was totally suppressed under Mubarak — rather than rock-throwing, boycotting, conspiracy-mongering and waiting for America to denounce one side or the other, which has characterized too much of the postrevolutionary political scene. Elections without that culture are like a computer without software. It just doesn’t work. The "Muslim Brotherhood needs to understand?" organization funded by George Soros. It's not in America's national security interest to have a Defense Secretary who regularly receives praise from an organization named an unindicted co-conspirator to fund the terrorist group Hamas in America's largestterrorism financing case; an organization officially banned from cooperation with the FBI and cited as an agent of the Muslim Brotherhood in America. A United Nations appeals court in The Hague on Friday unexpectedly overturned the war crimes convictions of two Croatian generals who led a 1995 campaign that helped end the wars involving Serbia, Bosnia and Croatia but also left several hundred Serbian civilians dead and drove more than 150,000 from their homes. A United Nations war crimes tribunal on Thursday acquitted the former prime minister of Kosovo, Ramush Haradinaj, for the second time of charges of torturing and killing Serb civilians while he was a commander of the NATO-backed Kosovo Liberation Army during its fight for independence in 1999. Among the harshest of realities is the cold blooded murder of young children. And so I begin tonight by offering my heartfelt condolences to America, and most especially the Americans of Newtown CT affected by the school massacre there yesterday. There are no adequate words for such happenings. In truth, as I look about me, I see a whole array of harsh realities. There is no choice but to address them. "now inclusive enough, is reflective and representative enough of the Syrian population, that we consider them the legitimate representative of the Syrian people in opposition to the Assad regime." At that point I commented that: the coalition Obama will recognize may be "inclusive," but that means it includes radical rebel forces, who will do all in their power to fight their way into positions of control. But now I have to offer a correction, for my assessment, while on the right track, was a bit of an understatement. Radical forces are not simply "included" in the coalition. And they will not have to "fight their way to control." Egyptians will go to the polls this weekend to vote on a new draft constitution, controversy over which has triggered violence throughout Egypt and raised concerns about Cairo's uneven transition to democracy. Decisions by Egyptian President Mohammed Morsi and rulings by Egyptian courts have deepened fears that the post-Arab Spring Egyptian government will curtail civil liberties and institutionalize persecution of religious minorities. Egypt was thrown into a political legitimacy crisis by a November 22 Presidential decree under which Morsi gave himself sweeping powers and denied Egyptian courts oversight over his actions. Neither the subsequent reversal of the controversial power grab nor a hastily passed constitutional draft subject to public referendum succeeded in quelling popular anger. Is Morsi Bringing In Islamist Reinforcements From Outside Egypt? 3,000 Foreign Jihadis to Terrorize Egyptian Opposition? The title of a recent Al Khabar News report declares: "Morsi summons 3,000 jihadis from Afghanistan, Chechnya, Bosnia, Somalia and Iran to be an Islamic army to strike the police and army forces" of Egypt. According to the report, Ibrahim Ali, a lawyer of various Islamic groups, said that 3,000 leaders and members of the Jihad Groups and the notorious Islamic Group—including the brother of Khaled al-Islambouli, the army officer who planned and participated in the assassination of President Anwar Sadat—will arrive in Egypt in a few days. Here is this week's Latma Tribal Update, focusing on a behind the scenes look at state of the art Hanukah celebrations and European shock and horror at recent events in the Middle East. The Middle East Media Sampler 12/14/2012: US Out As Sole Superpower By 2030!? And the intelligence community does not believe the United States will be supplanted as the world's only superpower by another country. "The replacement of the United States by another global power and erection of a new international order seems the least likely outcome in this time period," the report projects. While this excerpt from a Latma show was published online this week, the original first appeared online back on September 2010. The target hasn't changed since then: the world hypocrisy when it comes to Israel's right to defend itself. Inside a hurricane, with its fury of wind and rain, there is a calm center. Right now it feels a bit as if Israel is at the heart of such a hurricane. Here, life is normal. We are getting the blessing of rain. We are lighting our candles and celebrating Chanukah. Children are off from school and there are diverse activities doing. And then there's the election campaign I don't know if I'd exactly call that calm. But it is totally normal. But around us, there are places that are moving from awful to more horrible. "Obey The Prophet, Even If He Tells You To Kill"